For the past couple of months one of the main things the Holy Spirit has been teaching me about is being mindful of my thoughts and words. 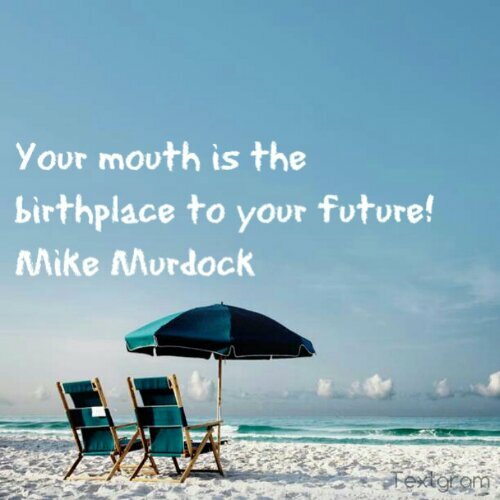 My thoughts and what I speak out of my mouth are the very things that shape my attitude and utlimately create my life. I am the first to admit that my thoughts have been absolutely horrible at times. They were riddled with negativity, doubt, fear and the worst case scenario for every situation. Ultimately my joy was affected. It was conditional. If everything was going ok, my attitude was fine. If situations were challenging, I was preoccupied. I was thinking about what was wrong, what could possibly go wrong and how horrible my life would be because of it. Because my thoughts and words were negative, so was my view of myself. I always felt less than worthy and as if when God was handing out the good stuff (giftings, talents, personality etc) I was completely forgotten about. So I started reading and discovering who I am in Christ. God created me in His image…and he is great. He said that He knew me before I was even considered by my parents. He said that His work (me) is wonderful. So I have been taking the initiative to change my outlook. I have been taking God’s word in more personally and speaking God-given declarations over myself. I have sticky notes all over our home that have my declarations, goals/desires, the word and quotes that I can see and speak. I’ve been journaling and taking the time to invision myself at my best and w/God’s best in every area of my life. So what has God been bringing to the forefront of your life lately? How has submitting to Him changed you for the better? Leave your replys in the comments!!! My Focus for the Week….